You have a voice, you can make a difference, please help us by letting people know about the good things that East Kilbride Community Trust is involved with and what they are looking to achieve. You giving to charity doesn’t need to be about it hitting your pocket! 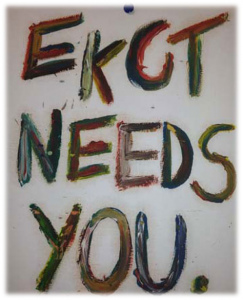 If you would like more information on donating or want to chat about getting involved wether it be fundraising or volunteering please contact us at info@ekct.co.uk or give a call on 01355 576005.